Well, here we are with Issue No. 19! Straight to your FREE die set, aren’t Scamp and Tiddles just the cutest? These lovely dies really make you smile and we have loved working with them. Along with some great projects for using Scamp and Tiddles, there are another 24 projects that do not include doggies and kitties! Our designers have done a fabulous job. This issue has something for children with the Nursery Rhymes, something for the chaps with the Lorry and Dumper Truck and something for those that love a touch of magic (or horses!) with the Unicorn. You can Build an Arch, indulge yourself with the Broderie Collection, or try a bit of sticking, gluing and folding to create sweet little boxes. Or how about a little bit of Home Décor? 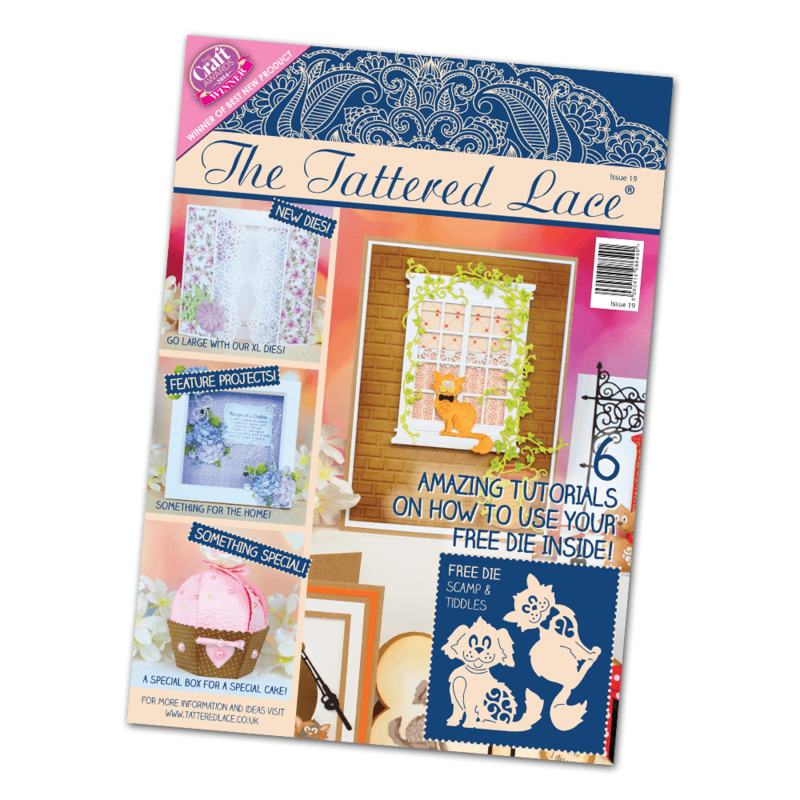 In the centre of the magazine you will find 16 beautiful papers, ready for you to lift out and to get crafting with straight away.